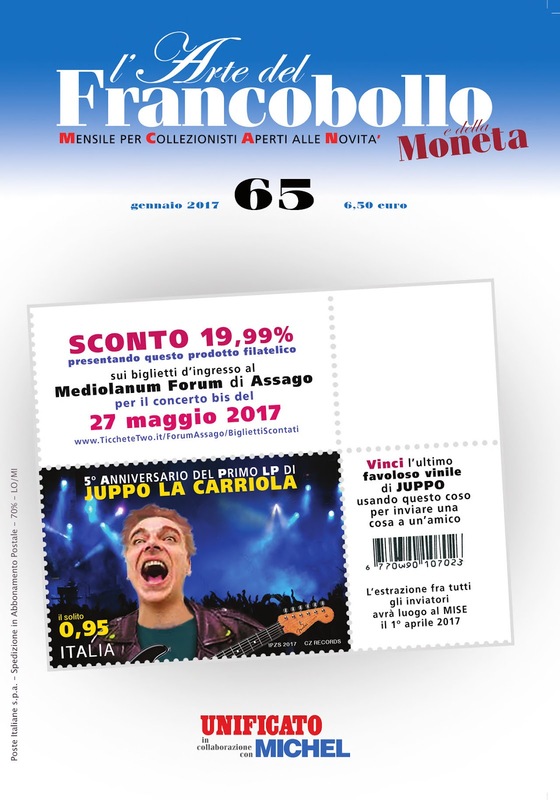 of what he feels the future stamp should be. 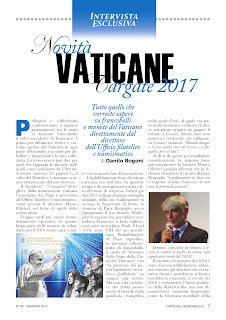 A recent article, Novità Vaticane Targate 2017, in the January 2017 issue of l’Arte del Francobollo, contains an interview with Mauro Olivieri, the director of the Holy See’s Philatelic and Numismatic Office. One question and answer stands out in the interview. 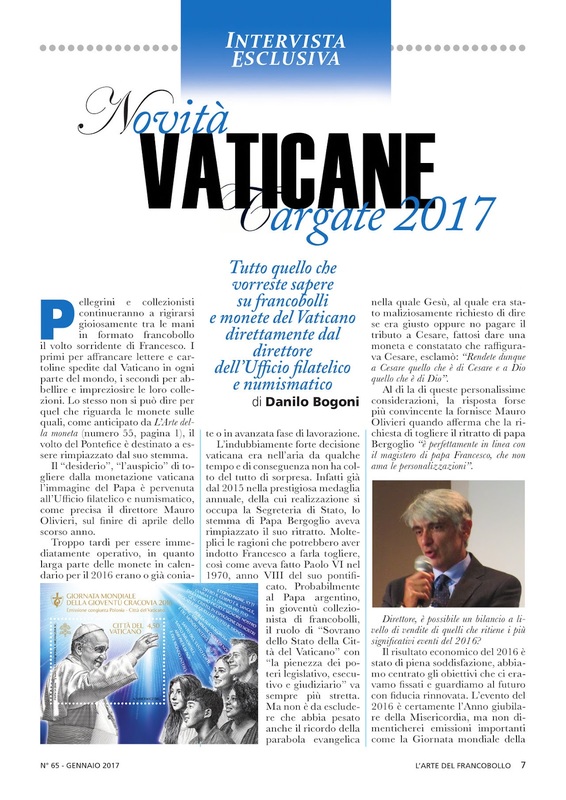 Danilo Bogoni : Through newly issued stamps, the Vatican continues to clear the pages of history previously considered, at the least embarrassing: in 2011 the centenary of the unification of Italy, in this 2017 soon the beginning of the Lutheran Reformation. 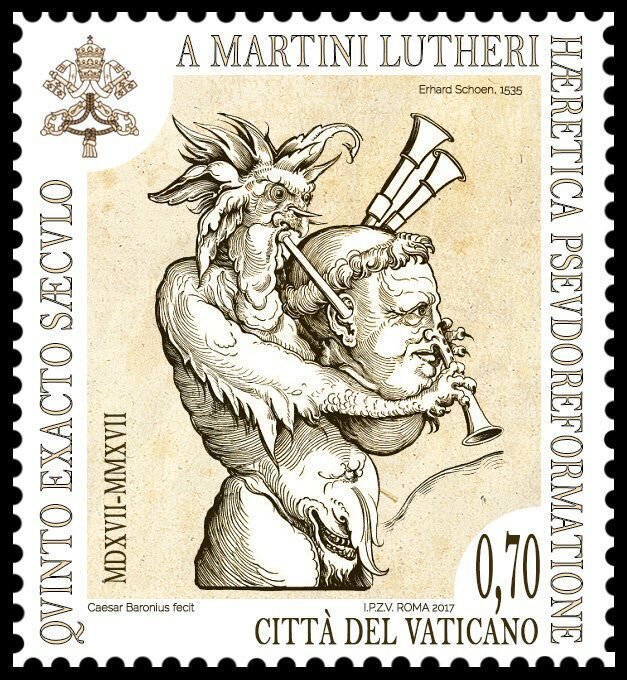 [CMJ - Luther’s Revolt] The issue of which a few years ago was unthinkable with the mark of the crossed keys. 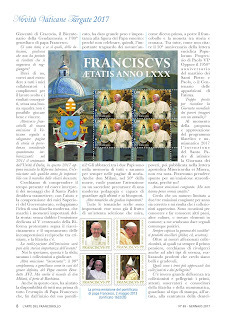 Mauro Olivieri : We have to try to understand the present time and be interpreters of the messages that the Holy Father wishes to convey; with the help and understanding of my Superiors of the Governorate, we develop the idea of a modern philately [CMJ - philately is the collection and study of postage stamps], which mark the important moments of history: no doubt the issue dedicated to the 500th anniversary of the Protestant Reformation [CMJ - Protestant Revolt] marks the rapprochement and overcoming of mutual misunderstandings between Christians, and the philately there is. 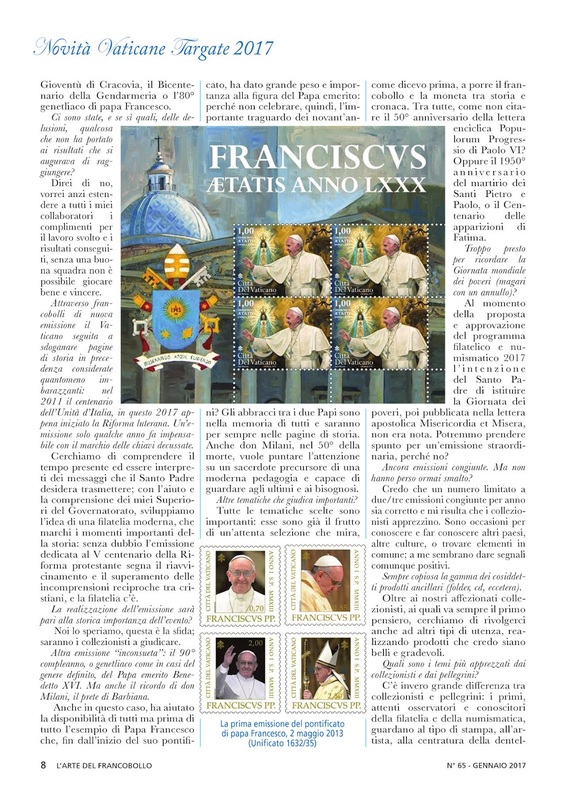 The Vatican’s website of The Philatelic and Numismatic Office confirms the statement of its director, Mauro Olivieri. 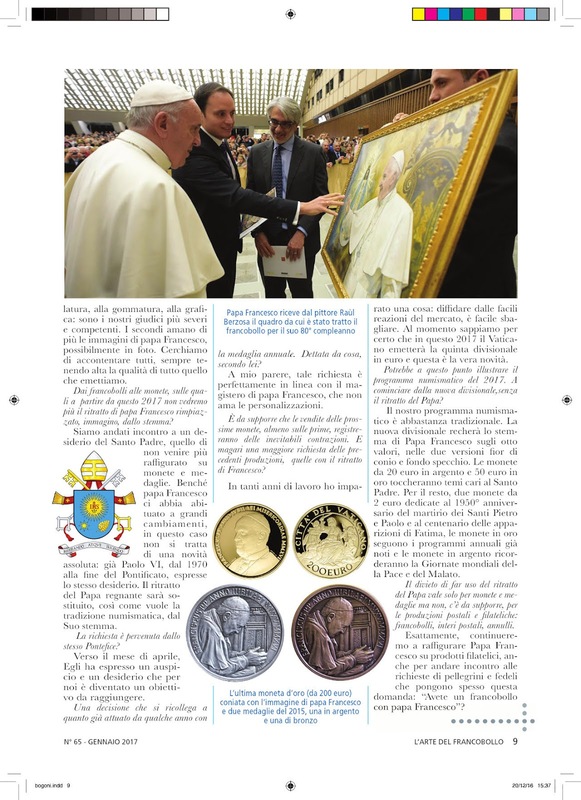 First screenshot is from the English language edition of the page and the second screenshot is from the Italian language version, see entry #16 in both screenshots below. 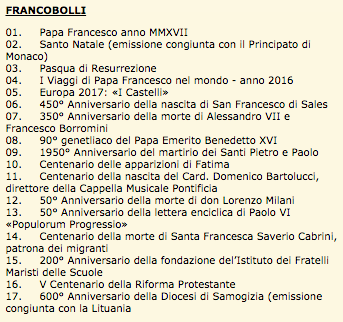 Thanks, CLM, this is great stuff - relevant info and sources. I love this blog! 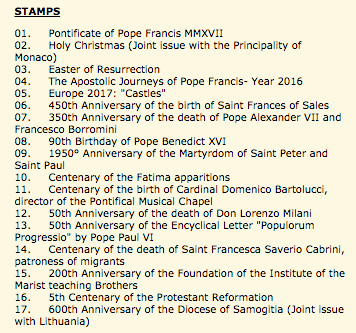 I guess we can add Stampgate to Rabbitgate, Dubiagate and all other Gates of Bergoglio. 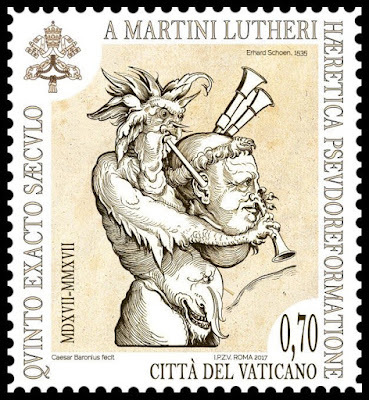 But since the Gates of Hell shall not prevail, neither will Gates of Bergoglio. ^^ I agree. And I also like the 'gates'. P.S. I really do like the up arrows of Discus...and the fact that one can edit after.